It’s one of those nasty habits that I’ve had since I can remember; I do it when I’m bored, and most of all when I’m nervous or anxious. 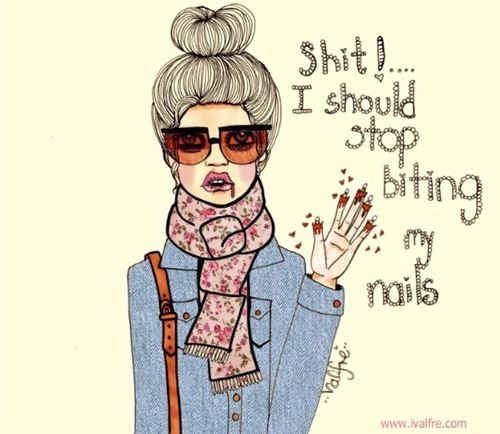 I hate biting my nails. However I know I’m not alone in this, which is why I’ve decided to write about it. I haven’t been tempted to bite mine for a good 2 months now, which is the longest I’ve ever lasted! So below are all the methods that I’ve tried over the years , including the good and the not-so-good. During my teens, this is something that I tried again and again. My mum would buy me one different brand after another, and no matter how awful the nail polish tasted, I would still be unable to stop myself from going near them. Stop & Grow Stop Biting, however, has some good reviews out there, so although this method didn’t work for me, it may work for you. This is a great method if you have the willpower. When the famous ‘claw’ shot on Instagram first came about, I became so envious of girls’ well polished nails and lovely nail art, that I looked at my own E.T-like hands and thought; “My nails should look like that!” It spurred me on to stop, so I stopped biting one fingernail at a time, which lasted quite a while… until something stressful came along. I caved and ended up with one long fingernail. Such a good look. When I bite my nails, I don’t realise I’ve done it until after I’ve stopped. It was one night when I was talking about it to a friend that she said, “There’s more dirt and bacteria under your nails than there is under a toilet seat” that every time I looked at my nails since then, I was disgusted. However, that comment just ended up with my addiction to hand sanitiser, and eventually the habit came back. This is what did it. For my Graduation Ball I treated myself to a set of acrylic nails and ended up letting them grow out far longer than I should have; it didn’t look great. But 6 weeks down the line, I knew enough was enough and I’d have to get them removed. I’d been thinking about the state of my own nails at the time, and I understood that the acrylics would have weakened them considerably. I started eyeing up the gel colours, and knew it would be in my nails’ best interest (and I wanted them to be pretty, obviously) to go for a gel manicure. 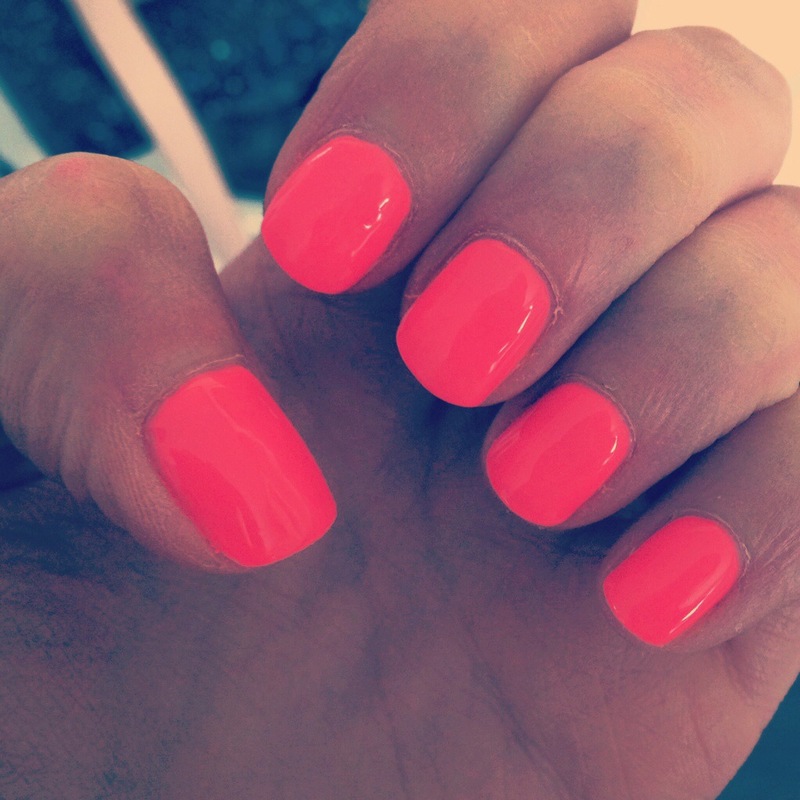 My nails had grown and the gel polish would strengthen them, so it made sense. Nearly 2 weeks later, my nails are still perfect! I don’t want to bite them; they look too nice (plus I paid too much money to let it go to waste!) I’ve also dealt a lot with my nerves and anxiety, which is the main cause. I’m yet to find out what has replaced my awful habit though! If you’re a nail biter, let me know if any of these methods have worked for you!